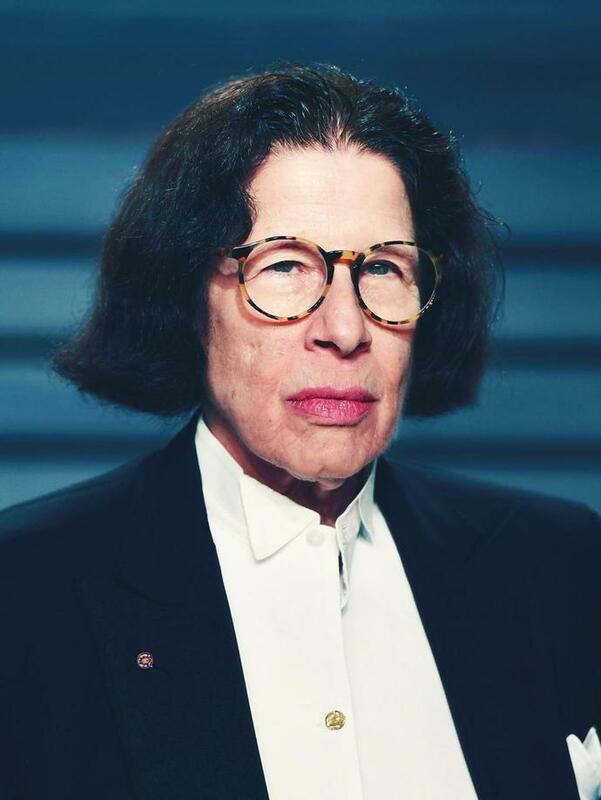 Fran Lebowitz knows a good thing when she sees it. She's been wearing the same uniform for decades, including her signature tortoiseshell eyeglasses. Why? "Because they're the best." Lebowitz also knows a good cause when she's approached by one, which is why she collaborated with Warby Parker on the "Pupils Project," a program that helps bring free vision screenings, eye exams, and glasses to schoolchildren in need. Leibowitz - along with nine other glasses-wearing New York celebrities including Lena Dunham, Chloë Sevigny, and Gloria Steinem - designed frames for the brand, with 100 percent of the profits benefiting students in New York City's public schools. Her pair are inspired by the ones she owns, although she'll have you know that they're not an exact replica. As Neil Blumenthal, co-founder of Warby Parker, told the Cut, "Glasses have the power to change someone's life." Below, Lebowitz talks to the Cut about how eyeglasses changed her life and how she hopes to improve the lives of young New Yorkers. (We also asked her about the tiny sunglasses trend). Do you remember how old you were when you first got glasses? I do because I was 37. I went to the eye doctor, and I said, "There's something wrong, I can't read that well." And he said, "Well, you need glasses." But I said, "What's causing this?" because I have only one eye. My right eye is blind, and I've been that way since I was born. But my left eye was perfect. I was always scared that I was losing my sight. So I said to him, "I don't know what's wrong. Maybe I'm just getting old." And he said, "Yes." I said, "Yes, what?" He said, "Yes, you're just getting old." I said, "What are you talking about?" He said, "People always need reading glasses when they're around 40." And I said, "I'm 37." And he said, "That's around 40." So, I remember it very vividly. Were you upset by this? Or did you just accept it? At first, I thought that [eyeglasses were] an incredible inconvenience: having to carry them, put them on, take them off. They felt odd at first. But now, of course, because I was 37 many decades ago, I need eyeglasses to even eat a sandwich. I have three different strengths of eyeglasses. I never don't have eyeglasses on. They're a part of my body. What did your first pair of eyeglasses look like, and why did you choose that style, specifically? All my eyeglasses have looked as much like each other as possible. When I started wearing eyeglasses, the kind of frames I liked - which are these tortoiseshell frames of a certain shape, which I cannot verbally describe - were readily available. And now they are not. I have one old pair left that I had the lenses changed in, and I have one pair where I had them copied. Custom-made eyeglass frames are incredibly arduous and psychotically expensive. You could buy a car. But whenever I wear those, kids are always coming up to me and saying, "Where did you get those vintage eyeglasses?" And I'm always saying, "They're not vintage, I just still have them." I've never changed my mind about anything. I like the same jeans I always wore. I like the same eyeglasses I always wore. If they would keep making them, I would keep buying new ones. But they don't. Do you have a reason why you're so drawn to the tortoiseshell glasses? You said once that you felt like the entire city had copied your glasses. Do you still feel that way? No, but there was a moment about a year ago. First, everyone in New York was wearing black frames of a certain shape, like German architect-shaped eyeglasses. Everyone. And then, suddenly I saw that everyone was copying my eyeglasses. I know they were copying mine because I was the only one wearing them. And I remember being at this big opening at the Museum of Modern Art, and every single person there who was wearing eyeglasses was wearing my eyeglasses. I have noticed that this has shifted and changed, and you will see that when it totally recedes, I will still be wearing my same eyeglasses. Why do you think New Yorkers were so drawn to that look at that moment in time? And why do you think they've moved past it? Well, they were drawn to them because they are the best. And they're past it because they're followers of fashion, not style. Do you think New Yorkers have a specific taste in eyeglasses? Like everyone else, when I say "everyone in New York," I mean 100 people. People who are interested in the way things look are the people I know, and I include myself in that. They like somewhat of a variety, but I see that they always come back to black, whether it's clothes or eyeglasses. There may be five minutes where they may be more colorful, or they change things a little bit, but in the end, I think the resting position of these people is the color black. And it does seem like the preferred shape is narrower. Are there eyeglasses trends that you've seen that you particularly like or dislike? There was a period in the '70s where there were these tinted aviator glasses. I hated them then, and they have periodically come back in small groups of people, and whenever I see them I think, "Ugh, I hope this goes away quickly." I dislike these the most. There are some people who can get away with very flagrant, annoying kind of eyeglasses. Like those cat-eye glasses - some people think they're very amusing. And sometimes a certain kind of person can get away with it, but not most people. Are you aware of the tiny sunglasses trend that's been happening lately? Kanye West sent Kim Kardashian a memo saying that she should only wear tiny sunglasses from here on out. Do you have any opinions about this look? I have seen these very tiny sunglasses. I wasn't aware of Kanye West's pronouncement to Kim Kardashian, and I'm happy to say that I didn't know that until now. That's exactly the kind of thing I was talking about: there may be some people [who can pull them off]. I saw a young guy on the subway the other day with those little tiny eyeglasses. And because he was a very beautiful young guy, he looked cute! But that's the kind of thing that I suggest most people stay away from. It's like these giant hats. Have you seen these giant hats? I get it if you're Rihanna, but chances are, you're not. People who are older should never do any of this stuff. But people who are young, if they are very fetching-looking, they can get away with it. It seems potentially bad for your eyes to wear tiny sunglasses? Usually the people who wear those kinds of things don't even need glasses. I doubt that Kim Kardashian needs glasses because what would she be needing them for? Do you think she reads anything? New York recently confirmed that Steven Mnuchin wears Transition lenses, after a number of people on Twitter commented on them. Do you have any opinions about Transition lenses, or any other political eyewear? It would take me a year and a half of furiously writing all the things that are wrong with Steven Mnuchin to get to his eyeglasses. Of the things that are wrong with Steven Mnuchin, eyeglasses are not even in the first million things. So, I never noticed. But I did notice that he should absolutely be thrown out of his job. Transition lenses? I'd like to see a transition of him out of his job. I would also imagine that he doesn't need them for reading. You've also said before that Warby Parker copied your glasses. Is this why you decided to finally join forces with them? What inspired this collaboration? I spent about ten years very involved with a public middle school in the Bronx. One day, I went there and I was standing in the back of a classroom and I was wearing my fantastic sunglasses, because I'd just come in from outside. A boy at the back of the room asked me if he could try them on, and I said no. I was annoyed. I thought he wanted to try them on because they were so great! Finally, I said, "Why do you want to wear these glasses? They're mine." And he said, "Well, I thought they would help me see the board." So I went right to the principal's office. This was a very poor student body, from an economic point of view. I said to the principal, "He can't see the board. Don't they have an eye doctor that comes to the school once a year?" We did when I was in public school. He said, "No, they're supposed to, but they never come." I said, "He is 12 years old. He still wants to see the board. Next year, he doesn't care, and you've lost him forever." I asked if he lived with someone who cares about him. The principal said, "Yes, he has a fantastic mother, she's always here." Of course, she has 55 jobs, so she doesn't have that much time. And she has no money. I asked if there was a clinic nearby and I said, "Have her take him to the clinic, get him eyeglasses, which cost $25 dollars, and I will pay for them." (By the way, this is what our tax dollars should be for.) When Warby Parker called me and said this project was for New York City students - although I'm certain there's plenty of need elsewhere - I am a citizen of New York and New York City public school children should have eyeglasses if they can't see the board. That is why.